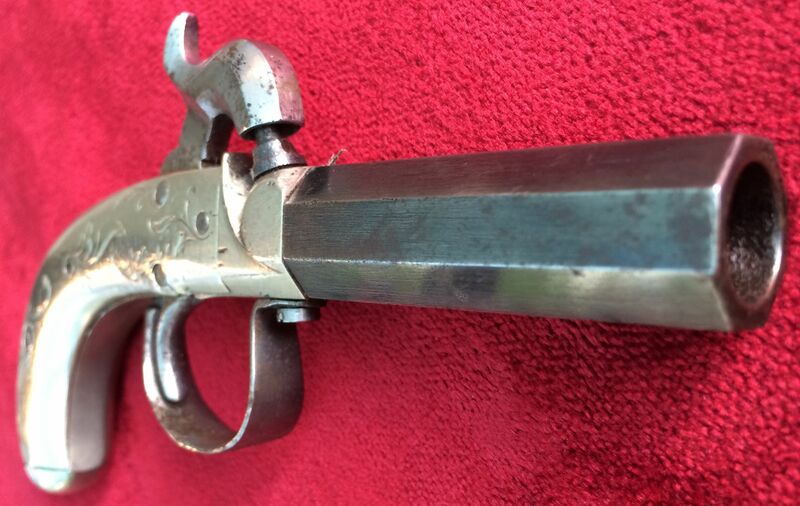 A good American single barrelled Percussion pocket pistol with bag shaped nickel silver grips and frame. Good condition. Ref 8906. 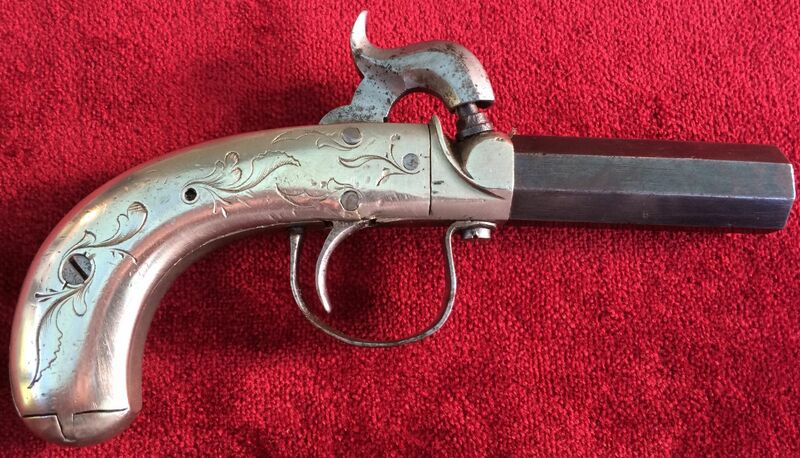 A good and scarce single barrelled Percussion pocket pistol with bag shaped nickel silver grips and frame engraved with leaves and floral motifs. 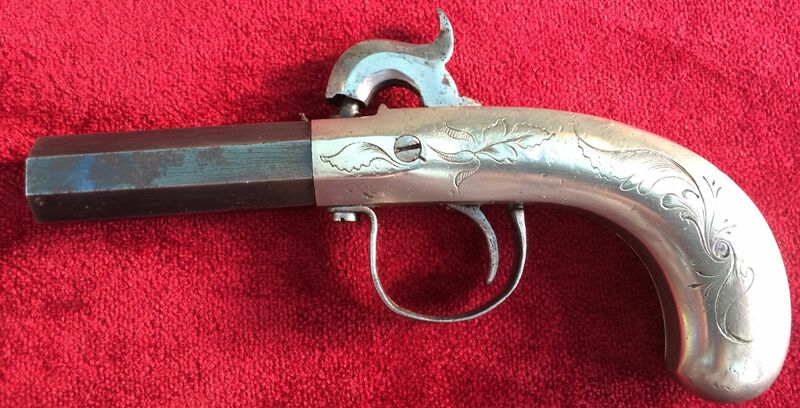 Probably manufactured in the USA circa 1840-1850. The frame of nickel silver, with an octagonal 2" screw-off barrel. One replaced screw under trigger guard, main spring is a bit weak, otherwise the condition is very good. Action works fine. Overall length approx 6 inches. Ref 8906.